107. LG Flatron L1780U Ultra Slim 17"
116. Sony SDM-HS73/W Flat Panel 17"
Flat TV expands your entertainment choices. The ViewSonic N2010 20" LCD TV, comfortable in any room of your home, expands your entertainment choices. With high brightness and contrast ratios, you'll enjoy brilliant color while watching your favorite video, TV show or playing your favorite video game. The N2010 easily fits your lifestyle with its integrated TV tuner and Plug-and-Play connections for all your digital video entertainment. The wall-mountable slim panel, flat-screen display with integrated dual 5-watt speakers is ideal for small spaces like bedrooms, kitchens, even RVs. Enjoy a complete visual entertainment experience with the bright, versatile N2010 LCD TV. This is a nice monitor and is made sweeter by the rebate deals that may be available to you. If I were to caution on one point, it would be that you not get too mesmerized by the 12ms published response rate statistic when comparing this monitor with others.Yes, response rate is a hugely important statistic to check out when buying for use with games or video playback, but when shopping around, I found games were equally playable on some monitors where the published response rate was 16ms and in some cases even higher.At the same time, I found that the contrast on this monitor sometimes suffered when compared to playing video on the same other monitors. Since I am the chief cook in the family, I use this TV in the kitchen. It is better than not being able to watch Iron Chef at all while I am chained to the stove, but not by much. I guess you get (at best) what you pay for. The first problem was the mounting template. It was inaccurate and didn't match the screw holes in the TV. To add insult to injury, the mounting screws are VERY fine thread; hard to start unless perfectly aligned, and easy to cross-thread. Once I finally got it mounted, the disappointment continued. It is impossible to set the brightness and contrast and forget it. If you set it so a given channel and program is watchable, odds are it will be washed out or too dark on the next channel, or even the next program on the same channel. By default, the TV comes on in the wide (16:9 aspect ratio) mode. Since 90% of programming is still in the 4:3 mode, you have to change it almost every time you turn it on. The remote requires that you press the "OK" button after entering the channnel number if it less than 100 - the TV is not smart enought to figure out that 027 means channel 27. The remote also uses an expensive and short-lived "button" battery, similar to a watch battery. Sound quality is on a par with a $9.95 portable radio, which pretty much makes the built-in AM/FM radio useless for listening to music. Bottom line: a big disappointment, even at a low price. First off the AM/FM tuner is awful. I get better reception on a transistor radio. The speaker system was very tinny also. I could have lived with that since the LCD seemed to work very well at first. After one day, the TV would shut down after a few minutes of playing. It would require unplugging to get the system to start working again. Again after a few minutes it would shut down. I traded it in for the SONY. Great for my laundry room! 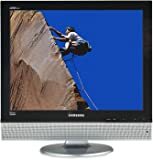 With crisp 1,280 x 1,024 resolution and an ultra-thin profile, the Samsung LTP1745 17-inch LCD monitor broadcasts strikingly clear images while taking up a minimum of space in your living room, bedroom, or kitchen. The monitor's wide 170-degree viewing angle makes sure that no seat is a bad seat, especially when the unit is mounted on a wall. 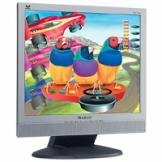 In addition, the monitor connects to a personal computer through its RGB input, letting users surf the web, check e-mail, or play QuickTime movies on the screen. The built-in NTSC stereo tuner receives the standard 181-channel fare, while the digital comb filter separates the color signals to minimize dot crawl and blurred edges, giving users sharp, focused images that look great regardless of the source. As with many high-quality TVs, the LTP1745 makes flexibility a top priority, which is why users can easily alter the video settings to enjoy a custom picture that meets their needs. Variable picture settings include custom, standard, movie, and dynamic. The TV also provides color temperature adjustment for warm, cool, or neutral tones, along with a trilingual onscreen menu. Additional user features include a sleep timer, V-chip parental control, closed captioning, and an auto volume leveler. The flexibility extends to the audio options, as users can choose one of several preset sound modes (standard, music, movie, speech, and custom) for broadcast through the built-in 5-watt speaker system (2.5 watts x 2). The monitor's MTS multichannel decoding separates audio signals for stereo reception, and also broadcasts a second audio program (SAP) when available. To connect the monitor to devices such as DVD players, game consoles, and camcorders, use the component video, S-video, RF, and composite inputs. PCs connect to the monitor through the DVI and RGB inputs. While I have used LCD monitors for computers, this is the first LCD TV I have ever bought. I have to say, I am extremely displeased with it. I may return it. First, regardless of the connection type, or when viewing a DVD or cable signal, there is an EXTREME amout of digital noise in the darker areas of the picture. Also, when any object moves, whether it be a person, text, etc, there is a halo around everything. Closeups of people are practically unviewable; they all look like they have been painted. Text is VERY soft, almost "bulged" looking. Also, no matter how hard I try, the contrast is simply incorrect. It is either too soft, or way too harsh. Although the setting is completely variable, there is no noticable difference between any of the middle settings. In fact, in order for the noise to go away in the black areas, the contrast must be set all the way to max. Unfortunately, this makes skin tones unwatchable. If you are viewing from 15 or more feet away, the picture looks crisp. Anything closer than that is completely unacceptable. Furthermore, the holes to mount the Sanus wall mount are too small by only a tiny fraction of an inch. The base of the TV is supposed to be VESA compliant, and the Sanus Mount should fit, but the screws simply won't go in the holes. I looked in the Samsung manual, and they want you to buy a special mount from some obscure company. This unit is advertised as VESA compliant, and therefore should fit any 75/100 VESA mount. I don't know if this one is defective or what. Either way, if it is returned, I certainly won't be buying another LCD TV anytime soon. I am a very technically savy person. I have never run into problems such as these with any purchase I have ever made. 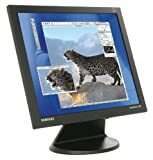 The SyncMaster 192MP from Samsung is a large 19-inch LCD monitor that comes loaded with extra features, such as a TV tuner and HDTV compatibility. Perfect for a wide range of personal and professional applications, the 192MP has a high-quality onscreen image and wide 170-degree horizontal and vertical viewing angles. The external TV tuner lets you use the monitor as a fully-functional TV, while a picture-in-picture feature lets you watch TV and use the computer at the same time. With a 1,280 x 1,024 maximum resolution, 25 ms response time, and 0.294 dot pitch, images are crisp and accurate, and a high 700:1 contrast ratio and 260 cd/m2 of brightness result in easy-to-see images and text. The 192MP supports a wide range of inputs through its 15-pin D-sub, DVI-D, S-video, component, and TV (antenna/cable) connections. With a 17-by-7.8-inch footprint, the 192MP takes up very little space; the wall-mount option lets you free up your valuable desktop completely. The monitor consumes about 62 watts of power during normal operation and meets TCO '99 emission standards. Plug-and-play compatibility makes setup quick and easy. Compatible with both PC and Mac operating platforms, the 192MP also comes backed with by a three-year limited warranty on parts, labor, and backlight. Perfect for student room, maybe a little expensive.. I was hoping to buy a new PC for college, and since monitors are optional, there is a wide variety of available models. But specifically I wanted something with TV-tuner so I can use same screen for both PC and TV, saving a considerable amount of space Since I also own a laptop (and all I have is a 4 to 2 ft workspace) this fit perfect. I used CRT moniters till I bought this, and after using 192MP for 5 months, the old 17" CRT back home disturbed me a lot. Also has speakers, but I also plug iPod in when I'm playing CS or some other game. I also use PiP (Picture in Picture) a lot, and that was also satisfactory. Even though you can only have two sizes (box and wide) and place it to 4 specific locations around the corners, you get used to it. Expecting more would be too optimistic..
One thing is price. It's probably 200 dollars more than its nearest competitor without a TV-Tuner, and I bet you can buy 4-5 TV's to that price. Also I paid more since I bought it a long time ago. But I can say that if you can afford it, then this product will worth every penny. 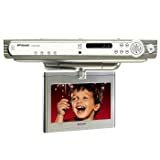 This is a single device that allows selection of composite, component (progressive DVD and HD sources), PC monitor and broadcast (cable TV) video at a push of a remote control button.Basically it was necessary only to plug in the sources and up they came. It offers a number of color adjustment and other setup options but in a month or so of usage in all modes I have felt little need to diverge much from the default settings. Its slim size and weight are a great relief from the bulk of CRT monitors. This monitor looks great. Easy to set up. At first I had it hooked up to my VGA video card and it looked good. Then I bought a DVI video card, hooked that up and it looks even better! The only drawback is it only looks this good at it's native 1280x1024 resolution, which makes pictures on web pages look small as compared to the 800x600 I was used too. If you plan on hooking up S-Video there is only one port for that on the side which will look tacky. If you need a space saving monitor and TV, this is the deal for you. I just purchased a Samsung SyncMaster 192MP as an upgrade for my current computer, a Dell circa 2001.I was upgrading forma ViewSonic 17" CRT, circa 1996.I love it.I should add that I have only owned it a few days and have no current plans to use it as a TV or with its built-in sound, so I cannot attest to reliability, usefulness as a TV, or the sound quality.My current video adapter has only the standard VGA 15-pin analog "D" output, so I have not had a chance to see what things look like with DVI.I run at the native resolution of 1280x1024 at 72 Hz. The verdict (so far):The monitor is very bright.The colors are clean.The image is sharp.I have noticed no dead pixels.I do not play really fast video games, but I have noticed no issues with latency or ghosting in normal use.It is true that any LCD would be better than my old CRT, but I have had both a Dell 19" LCD (don't remember the model) and an HP L1925 LCD at work.Both of these are also nice.I have not done a side-by-side comparison, but the picture from the Samsung 192MP is at least as good as the L1925 and probably a bit better than the Dell. The 192MP worked correctly right out of the box, although I was careful to make sure I had set my display adapter to run in a compatible mode ahead of time.The only bad thing I have to say about this monitor is that after trying the auto-adjust feature some of the text became fuzzy.However, when I went back to the default "custom" settings, everything was perfect. I did a fair bit of research on 19" displays before I bought this one.I also considered the Samsung SyncMaster 910Tvery seriously.I did not get a chance to see a 910T live, but on paper it is a slightly better monitor, although it lacks the TV tuner and speakers.The 910T is significantly cheaper, however.If you just want a monitor, the 910T is probably a better choice.For me, the ability to hook it up directly to a DVD player was worth the extra money, since I pan to upgrade my computer in about two years, and I will likely want a better monitor to go with it at some point. 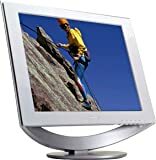 I have now owned this monitor a couple of months and am still very happy with it.I use it to watch DVD's (normal movies played using my computer's DVD drive. )I have not noticed any ghosting in normal viewing, although I did not specifically look for it. I just bought my first LCD from Amazon. I got it and surprise: the monitor has a dead pixel right out of the box. I asked for a replacement, got it 2 days later and the same thing happened: another dead pixel right out of the box. I don't know who does the quality check these days but these are serious issues. It is unacceptable that a $600 has dead pixels when it exits the assembly line. This is a GREAT monitor. Colors are unreal on this display. Very true blacks, definitely lived up to its reputation. Unfortunately, it ghosts pretty bad in fast action games, specially FPS which is a big shame. I have a high end video card and use the digital connection on it as well. Always using the native resolution of course. I had a 17" dell LCD with a 25ms response time and was able to deal with its slight ghosting. I felt since this one had the same response time, it would have the same performance. Also reading other reviews about people saying it was good for gaming, i felt why not give it a shot. I tried it on Doom 3 and Far Cry and it ghosts horribly. So if your an avid gamer,specially with FPS games, don't buy this monitor. If games don't matter, this is one of the best, if not thy best LCD monitor out. 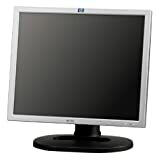 I have three of these monitors in a multi-monitor setup, and they all work very well.While admittedly I am using them in a business setup that is not pushing the graphics capability of the monitors the way that some games do, I can say that they have been completely dependable, with no problems of any sort, and very good image quality (in both landscape and portrait mode).The pivot feature works quite well, and is a real plus. I had a problem with the second monitor I purchased (the DVI connection wasn't working) and Planar sent out a new monitor to me immediately.I have been running these three monitors for about a year now and am very, very pleased.I will likley be buying two more for use at home. Excellent - BUT you better have a good graphics card. Just bought this monitor and played "Matrix: Reloaded". The picture quality is quite amazing. I also test drove Warcraft III and Quake 3 and the graphics look great with no apparent "ghosting". 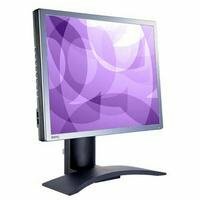 In looking for a new monitor I researched and did some hands on investigation of quite a few. I found the VG710 to be a great monitor for the money. It was easy to setup and get working fast. I was impressed with the great resolution and brightness. The built in speakers work great and it's display time is fast. I have watched one movie and the scenes don't get choppy as with some older/slower LCD monitors. I bought a Samsung 17-inch LCD six months ago and will now be on my third unit.The first one lasted less than two weeks before permanent vertical lines began appearing.Fortunately it was within the retailer's return period so they gave me a new unit.The second one lasted until recently, when it instantly and irrevocably started displaying bands of vertical lines, and became super-bright with severe lagging and ghosting.There was no apparent cause for either problem.Most unfortunate of all, Samsung treats warranty/customer service requests as a game.I have been without a usable unit for two weeks, and still have no idea when the refurbished replacement unit will be shipped.Repair is not a good option since they only do repairs at one facility in the entire U.S., and can give no estimate whatsoever as to how long the repair will take.In my multiple conversations with them not one employee has expressed any degree of surprise that two brand new LCD displays have had these kinds of problems. The Kogi L9CH is a flat panel LCD with an impressive 19-inch viewable area. 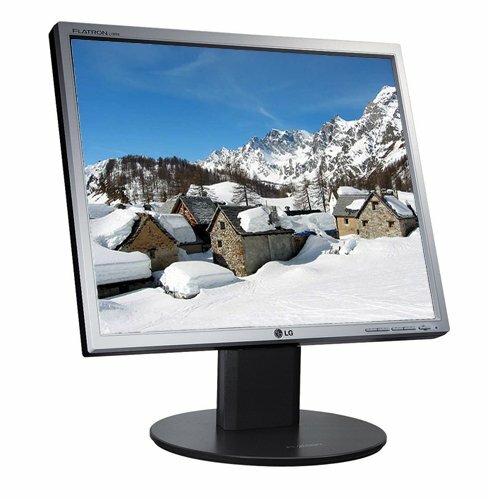 This unit delivers key benefits that are unique to LCD monitors like a small footprint, low energy consumption, and flicker-free viewing to reduce eyestrain. Integrated speakers provide a clutter-free multimedia desktop, while the detachable stand and 170-degree viewing angles allow you a variety of display options. With a combination of 1,280 x 1,024 resolution and a 600:1 contrast ratio, your graphics will have crisp, clear edges and rich colors ideal for applications as diverse as gaming and detailed spreadsheets. Kogi provides a full one-year warranty on parts and labor. I purchased two Kogi L9CH Flat-Panel 19" LCD monitors because the advertising on the Kogi website said that they were available with an optional DVI port. I ordered the optional DVI port and after receiving my monitors found they did not contain that port.Upon calling Kogi they informed me that DVI ports were not available on that monitor.After pointing out to them that their web site indicated they were, I was told they would be happy to ship me 1000 monitors with said port since they would have to be manufactured.I could not buy just two. Seems to me to be a little less than honest advertising. Just got mine, no dead pixel as others reported. very bright and crapy. It holds super performance:price ratio. Worst LCD purchase for me ever. Just bad bad bad.Dead pixels, shaky joints, dark image, ...etc.Just an extremely poor LCD monitor.(... ).Please check the reviews/complaints/company reputations before you buy.I learned my lesson the hard way.Never Kogi again.(...). Monitor really isn't great. Two dead pixels out of the box.Built-in speakers are not great.It's 4 months.Still waiting for rebates cheque.If you need a real monitor, don't fall for the rebate like I did. Best LCD on the Market-High Quality-BEST SHARPNESS! native resolution 1280x1024, performs well outside of native resolution too.I shopped long and hard for an excellent LCD monitor.I compared side-by-side this Kogi LCD with Sony, Viewsonic, Samsung, NEC, and Sharp and this Kogi LCD beats the rest with it's excellent quality, sharpness, contrast, beautiful vivid colors, nice menu that is simple to work, easy access buttons.You know how some LCD monitors when you use the brightness and contrast controls and see hardly any different turning them up or down, well with this Kogi when you turn the brightness/contrast up or down..... you see the difference!It can get very bright or very dark, letting you set it just how you like!I was so impressed with the quality, and how clear the text and graphics looks, much better than any CRT I've ever had, including my Sony Trinitron CRT!That I went out and bought another Kogi 19" L9CH for work for my desk, and a 17" Kogi L7CH for our inventory system at work.It's very nice using these nice monitors at work and home!I've been very pleased! 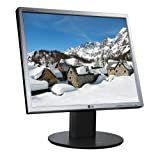 Purchased this monitor from amazon with free shipping and 25 dollar rebate. It was the lowest price around. Received monitor, it took about 5 minutes to set up looks great would highly recommend this monitor and use amazon for the lowest price. I've used other LCD monitors at my workplace, but the brightness, brilliance and clarity of the Sony's SDM-series monitors surpasses all of them. Images do not look "pixelized" like those on Samsung LCD monitors. The price is well worth it (...). Others have complained that the base of the monitor is too large -- However I have no problem with it because it's the perfect place for my wireless mouse & keyboard receiver! I was looking for a Samsung 17 inch monitor when I spotted the Sony SDM-HS73. The picture was amazingly crisp and the colors bright compared to the NEC and Samsung monitors next to it. Reading the specs, I noticed that its pixel pitch was .264mm, and the contrast ratio was 500:1, indicating a very good quality monitor. When I brought it home, I placed it next to my old 19 inch CRT monitor to compare screen size - the SDM-HS73 was a tad bit bigger! Setup was simple - plug and play. I ran my favorite screen saver, Marine Aquarium on it and couldn't be happier. The picture looks great - sharp text, vivid colors. My husband will be buying one also. No built-in speakers, no fancy trim, the 91t is a high-performance display in a quality package -- and just the right size at a sweet-spot price point. This product has everything you need (and should remain compatible with next-gen computers for years to come) and nothing you don't. The 91t replaces the old 191t which, at its release, offered the narrow most narrow bezel of any LCD monitor. The 91t improves on the 191t with better contrast ratio and a power supply integrated internally (without increasing the size of the housing. Features include 1280x1024 resolution via VGA and DVI inputs (cables included) switchable from the SOURCE button on the front panel, enabling you to connect and switch between two computers. 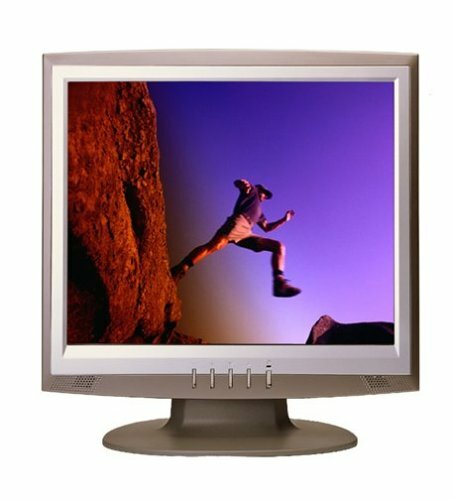 For desktop publishing, the monitor can be rotated from landscape to portrait mode and comes with software to rotate your desktop to match the monitor's orientation. The DVI interface is what makes LCD panels worth buying. The difference is truly striking when switching between the two inputs on the 91t (VGA looks blurry compared to DVI at native resolution). For some, it may be necessary to upgrade your video card in order to use the DVI input (a mere $30 upgrade you can do yourself). The 19" sweet-spot. Think bigger is always better? The 19" flat panel is the ideal size for all work (including CAD and desktop publishing). 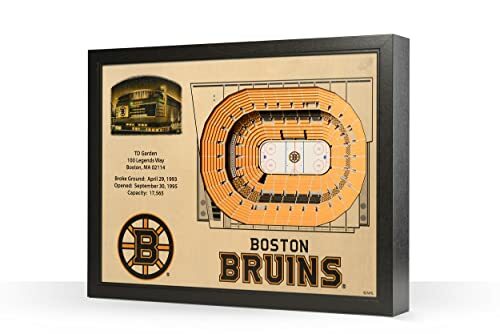 Unless you work for NASA, Pixar or manipulate huge, detailed CAD dwgs, the 21" flat panel is way too big and does not offer substantially higher resolution. In the past 4-yrs, Samsung has invested billions in R&D and it is evident in the quality and features of their current "pro-sumer" product line (flat panels and home cinema displays). Don't be fooled by Samsung's reputation - those days are gone. I have been using 152T for more than 2 years and it was excellent. But this model, in particular, is full of problems. I bought one, and had to send it back for replacement (twice), yet each replacement comes with new defects (unbalanced brightness, noisy panel etc). Imagine: 3 defective units in a row (all brand new), does that give you any idea about its manufacturing quality? I ended up with a refurbished unit from Samsung, which is mediocre in quality (the panel is *not* as clear and as bright as a new unit). If you want to take the risk, go ahead. But I wouldn't recommend it. ...a slight edge to the Viewsonic VP191, which is selling at about the same price point and is also rotatable (a truly priceless feature! ).On the Internet though you can find this Samsung at about a hundred dollars less than the VP191. During the course of my extensive shopping around, I found that while the Samsung has a higher contrast ratio and higher brightness rating on paper, in reality the Viewsonic appears to be of about the same sharpness, and more importantly is significantly brighter!And yes, I did play with the monitor adjustment buttons of both monitors, the maximum brightness setting on the Samsung is equivalent to about 50% brightness on the Viewsonic.Go figure...is Samsung playing fast and loose with its specs?Or is the screen surface of the Viewsonic somehow "brighter" than that of the Samsung's?I'm not sure, but I am sure of what my eyes saw: Viewsonic offers a better picture. 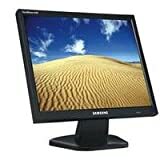 Otherwise, Samsungs do offer terrific bang for the buck.I have many friends who are quite happy with their Samsungs, and I have an old Samsung 17" CRT which has held up well over a couple years' heavy usage.In short, when you compare Samsung monitors to the really cheap 300 dollar off-brands, in my opinion the extra hundred or so you spend for the Samsung is well worth it for most people's uses. Both the Samsung and Viewsonic easily beat out the Sony LCDs though, even though the Sonys are usually more expensive.This surprised me because I find their TVs are still top-notch. I bought this LCD monitor because a number of places have given it excellent reviews.I also had a Samsung 191T, which I really liked.However, I needed to get a new monitor to replace that one, and unfortunately, the 910T does not measure up.The problem here is ghosting, and this is not even when you play games with fast moving images.The ghosting is when you just move the mouse cursor across the screen.The mouse arrow smears, and you see something like a vapor trail of mouse cursors.This is extremely annoying.After some research, most places have said that this ghosting is due to the slow 25ms response time on the 910T.However, I remember that my old 191T had the same response time, and this issue was not noticeable at all.Another thing is that the ghosting issue is better when you use the DVI (or digital) line as opposed to the Analog link.When I use DVI, the mouse cursor still ghosts, but it's not as noticeable and bearable to where I'll keep the monitor.However, I'm still very disappointed because the 191T didn't ghost this much in analog mode.One good point is that the colors look very nice on the monitor probably due to the 1000:1 contrast ratio.Another thing is that every thing looks sharper on DVI.For example, when I'm in Windows explorer, the filenames look blurry in analog, but sharper in digital.I guess the moral of the story is that you better have a DVI port in your video card if you buy this monitor. I've had this monitor for a week and I love it.It's attractive, bright, sharp, and relatively inexpensive.It's the purchase I've been happiest with in a long time.I even ordered it with FREE Super Saver Shipping and it arrived two days after I ordered it.I originally thought that I would switch back and forth between the landscape and portrait modes (which is easy to do with the supplied software), but it hasn't left portrait mode since I put it there.Portrait's just better for every application (web browsing, reading PDFs, working in Word, programming...).I guess it's not better for watching movies, but I don't do that on the computer.I highly recommend trying a monitor that can rotate like this. ViewSonic's largest big-screen display of the moment is the VP230MB, a 23.1-inch behemoth with 170-degree horizontal and vertical viewing angles. It also boasts 1,600 x 1,200 resolution, ideal for high-end graphics applications. 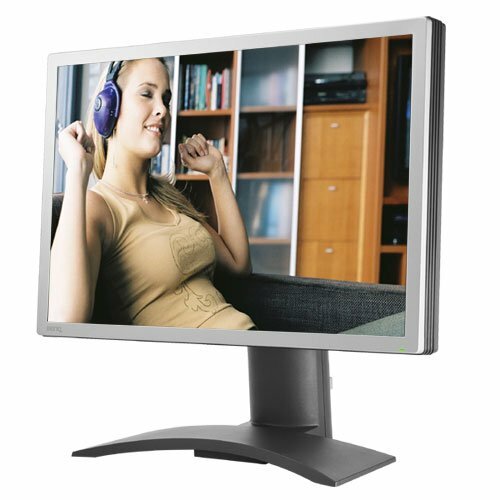 Plus, ViewSonic's trademarked 3X-LCD technology provides the ultrafast video-response time for video editing or computer animation, delivering moving images with superior picture clarity and focus. Multidomain vertical alignment technology improves the LCD's viewing angles and provides the exacting images suitable for engineering, medical imaging, and standard business applications. For either analog or digital video signals (DVI-D), OptiSync provides multiple input "sync" technology for precision display synchronization. The Samsung SyncMaster 730b is a 17-inch analog and digital TFT-LCD monitor delivering crisp, clean text and bright, vivid colors. This display offers a 600:1 contrast ratio, 300 cd/m2 brightness, 1280 x 1024 resolution, 160/160 degree viewing angle, scanning frequency of 30-81 kHz horizontal and 56-75 Hz vertical and 0.294mm pixel pitch. 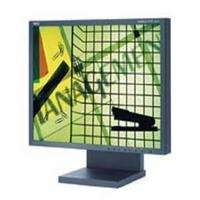 The SyncMaster 730b display offers the option of using either a digital or analog interface for viewing images and text. The Digital Video Interface (DVI) ensures a shaper, cleaner image and a more accurate representation of the original video source. Since video starts out digital in a PC graphics card, the digital output is directly interfaced to the digital input of the LCD panel and always provides the optimum quality image. In addition, no adjustments are required with a digital display, even when randomly changing resolutions. Input connectors for this display include 15-pin D-sub and DVI-D. Available in black, the SyncMaster 730b delivers a maximum of 16.2 million colors. 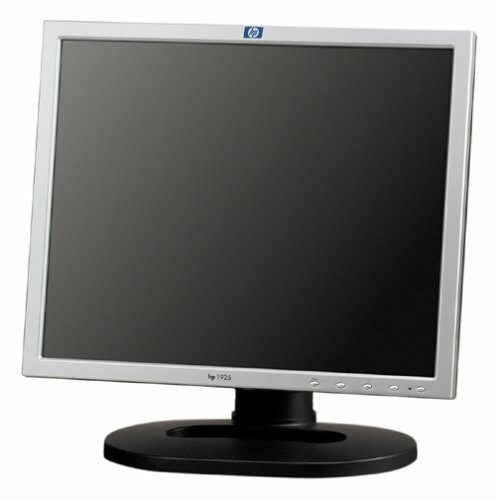 The monitor is Windows Plug and Play DDC 2B compatible. To ensure years of reliable performance, the SyncMaster 730b is backed by a three-year parts and labor warranty, including the backlight. Toll-free, 24/7 support is also available for the life of the display. The 730B is very bright and responsive, no doubts about that. There is essentially no difference between a CRT monitor and this screen when it comes to speed. Colors are vivid and the screen can be set to be very bright; black is deep and not washed out. My unit has a rather noticeable vertical gradient (colors are a bit washed out at the bottom, and a bit darker a the top of the screen). The top and bottom edges of the screen also show "arcs" of backlight, which are annoying when watching widescreen movies (the black bands at the top and bottom of the frame are not completely black). The viewing angle is acceptable horizontally (a yellow cast is detectable when off-center) and vertically (a darkening is detectable when off-center); viewing does extend to the claimed 160 degrees, but at the expense of image quality. Unlike what Samsung says on its website, this model does not come with a DVI cable in the box (at least in the USA), only with a VGA cable.